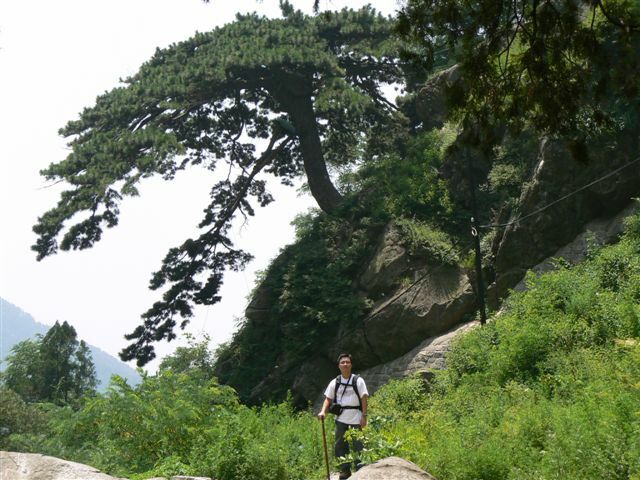 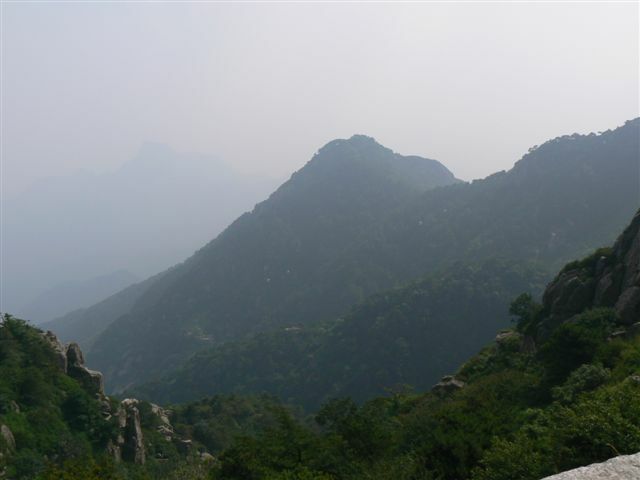 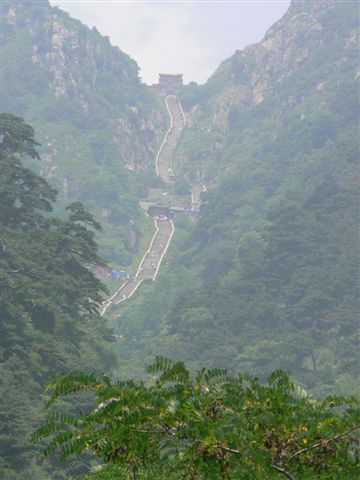 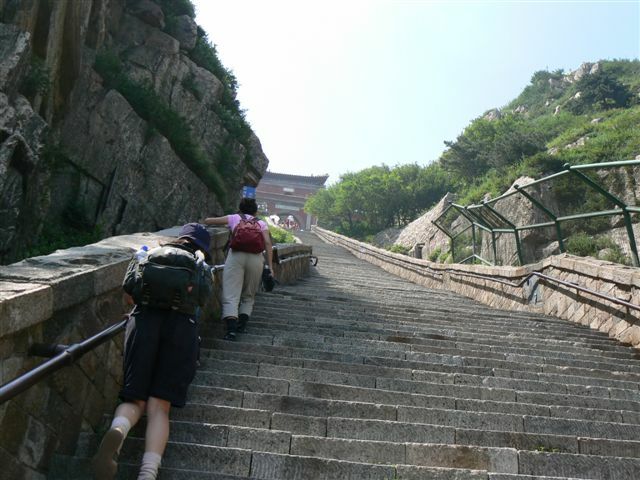 Taishan is one of the most famous mountains in China. 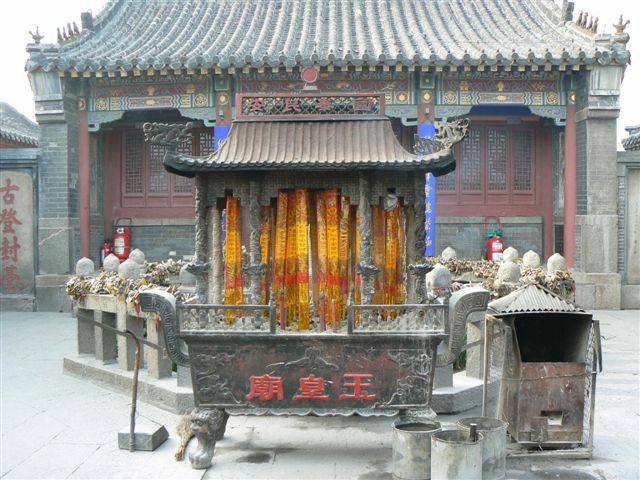 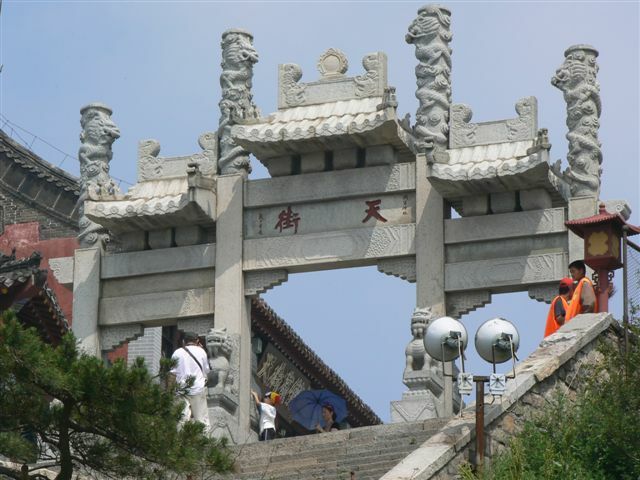 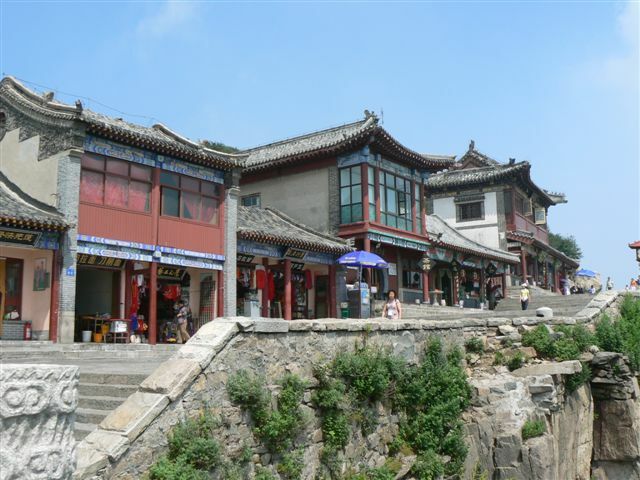 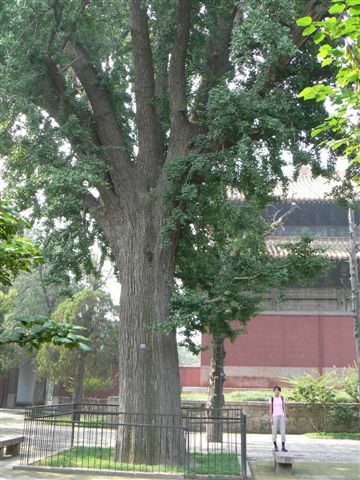 In the past, many emperors of China went to Taishan for an event called "封禪". 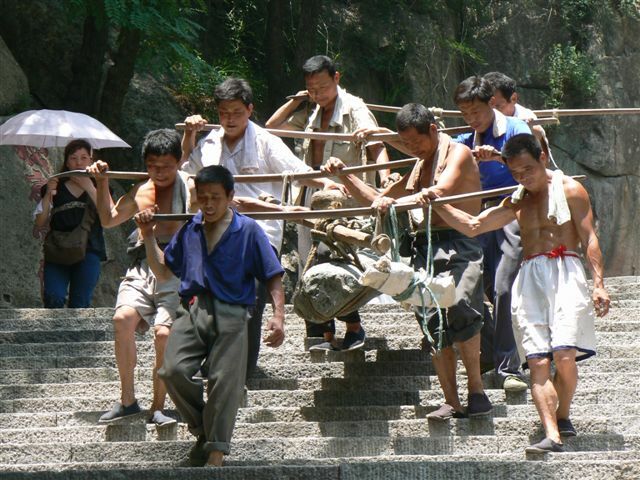 They walked up the mountain with the aim of worshipping the God at the top. 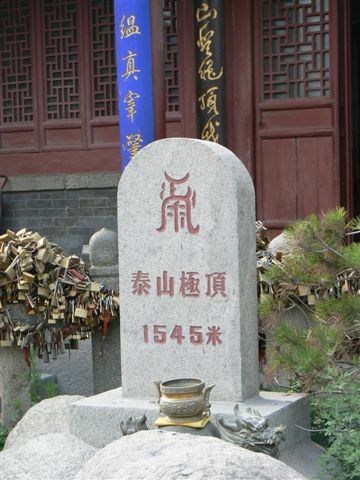 Emperor Qing was the first emperor recorded to visit Taishan for that. 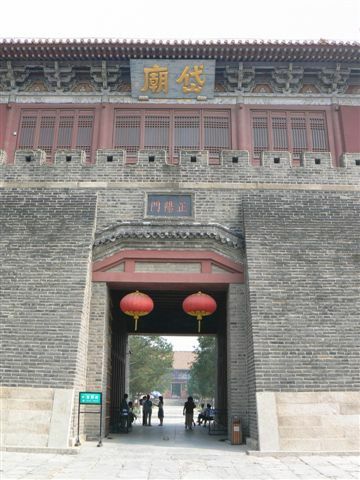 The emperors started their journey at 岱廟. 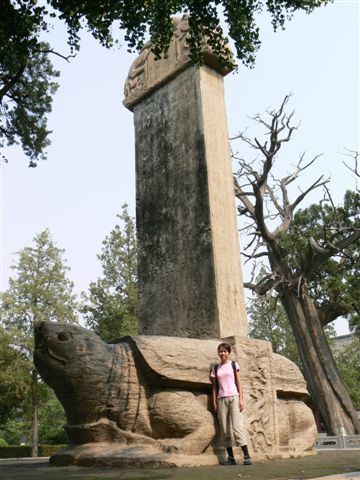 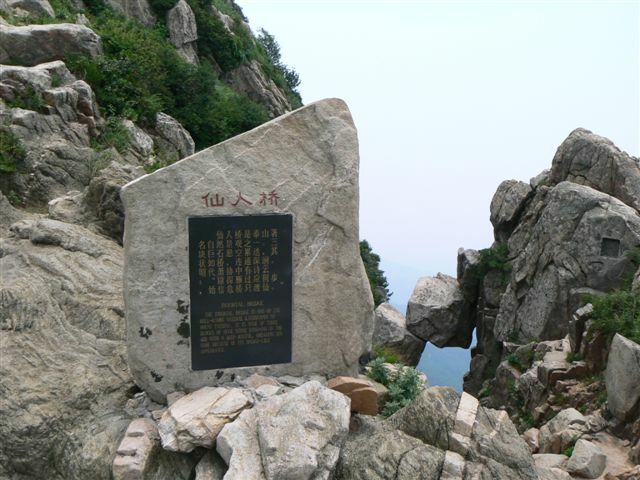 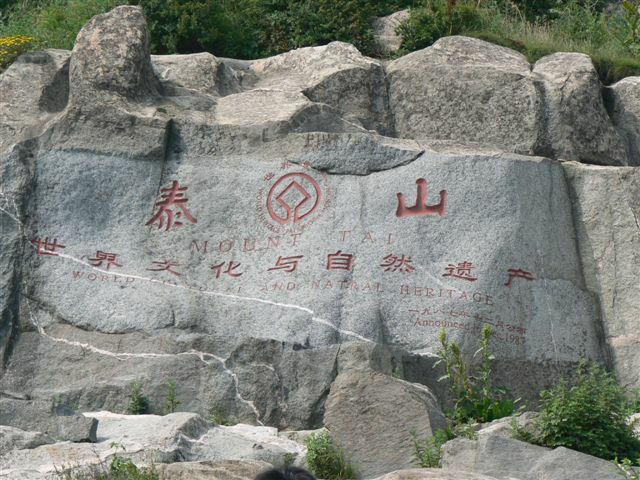 Going north, they finally went to the top of the mountain (where 玉皇廟 is situated nowadays). 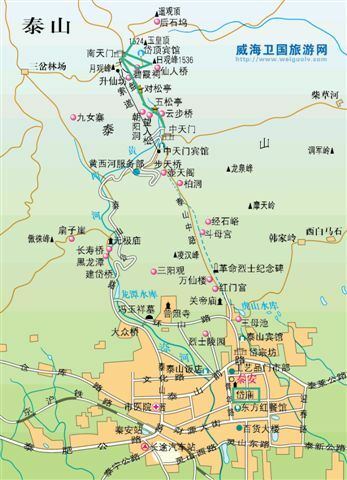 Afterwards, we rode on a taxi to 天地村(天地廣場). 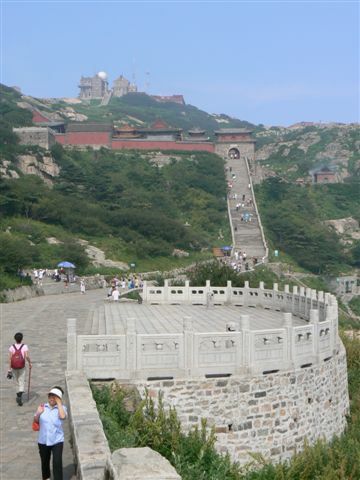 Here, we can have a closer look at Taishan. 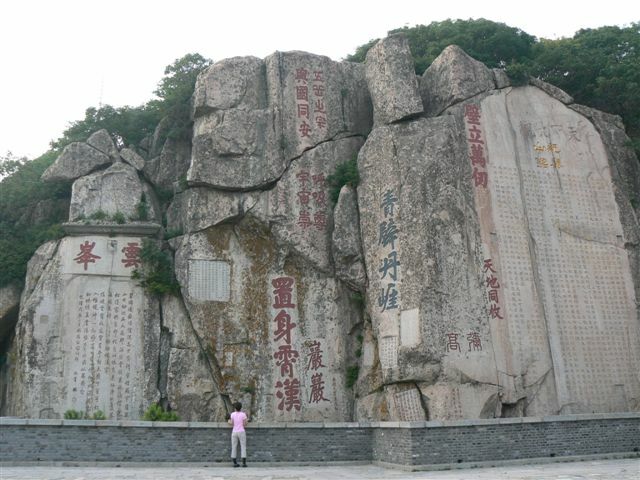 We jumped into a mini-bus which carried us to 中天門. 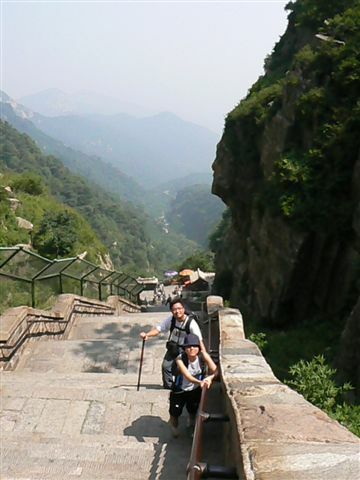 We started our hiking at 中天門. 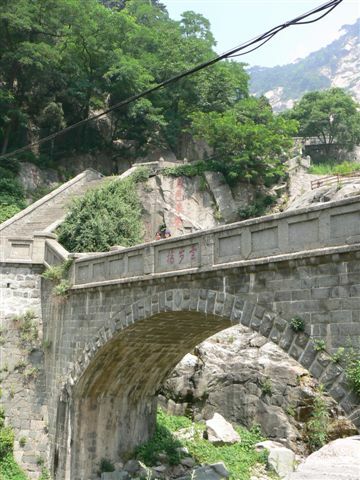 The following photos show some of the sceneries from 中天門 to 南天門. 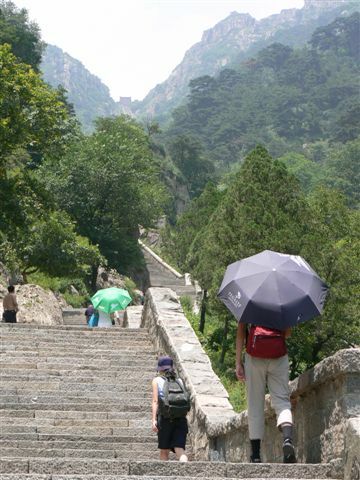 After passing that, we reached the "Sky Street" where there are restaurants selling noodles. 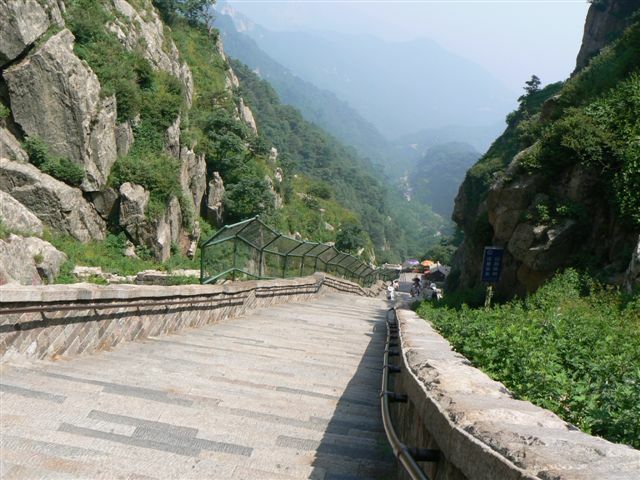 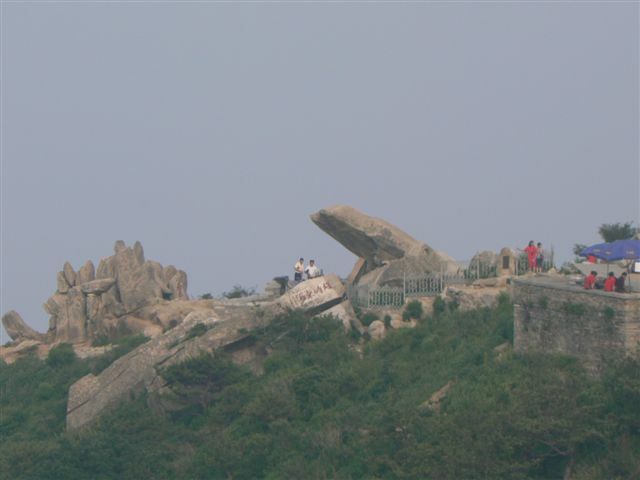 Photos below show the sceneries at/around the top of Taishan. 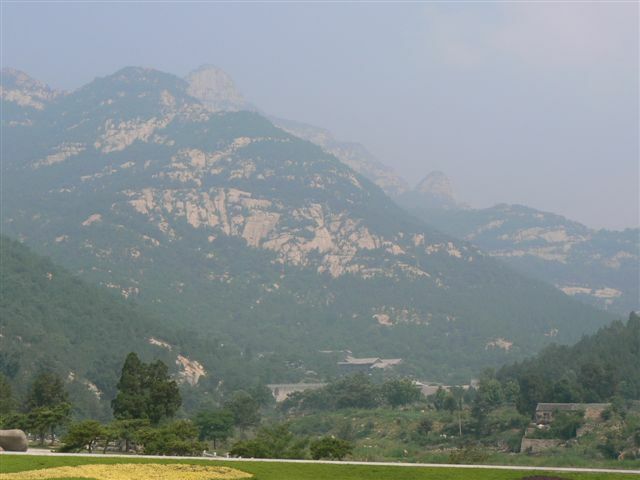 There is a nice 3-star hotel called 神憩賓館 which is situated just below the top of the mountain. 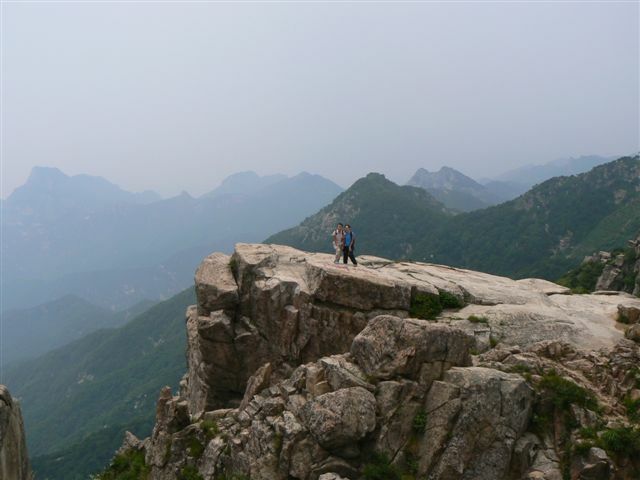 You can choose to stay overnight there and get up at 4:15am to see the sunrise. 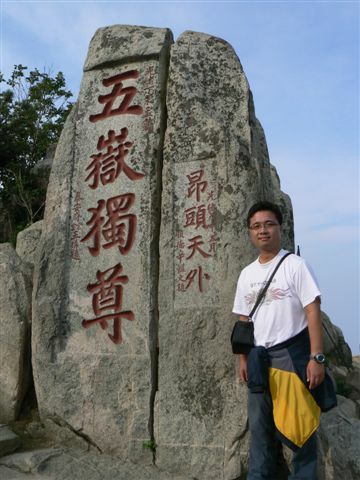 拱北石 is an ideal place to see sunrise. 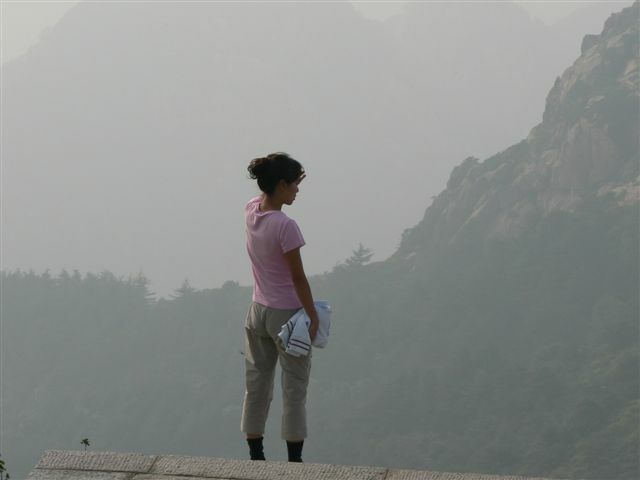 Because of weather condition, the chance of successfully seeing the sunrise is only 10%.